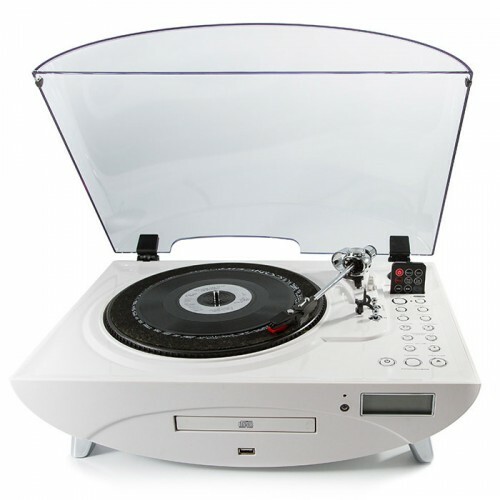 The visually stunning and unique GPO Jive turntable is a stand-alone 3 speed record player with built-in speakers, CD player and FM radio. Record all of your vinyl or CD content onto a USB stick. 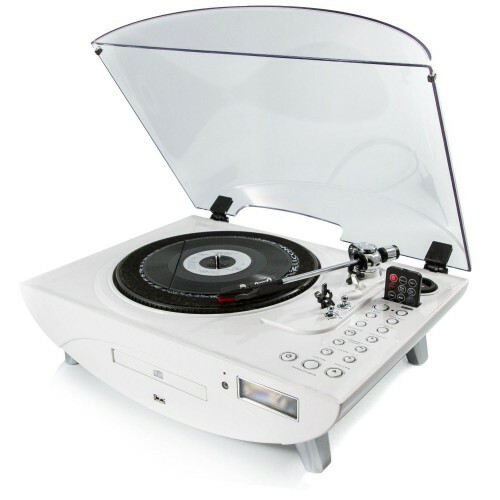 Compatible with CD-R/RW, MP3 and WMA, programming function (CD), encoder function, digital LCD display and audio line out RCA.